Panasonic has unveiled a new, massive 85-inch high-end television that boasts a 4K resolution and a ridiculous amount of features. 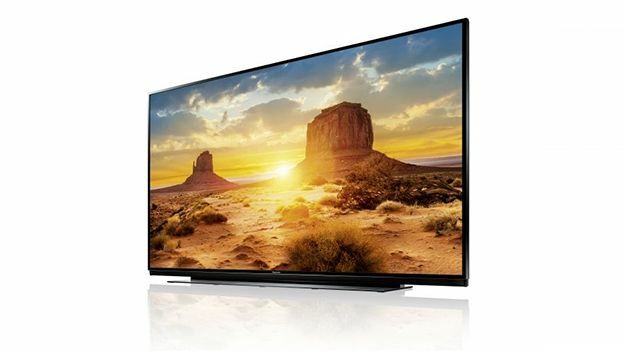 The Panasonic X492 is one of a raft of 4K UHD televisions unveiled at IFA 2014 in Berlin. So it's hardly surprising that Panasonic has rammed in a huge number of features. The Viera 4K UHD model has the required 3,840 x 2,160 resolution. It also has Panasonic's own 200Hz Back Light Scanning and 4K intelligent frame creation technology. Those will help to make what's on the screen sharp and smooth. Other features include automatic local dimming to help blacks stay as dark as possible without compromising the brightness of whites. That's thanks to the TV's in built quad-core Pro5 processor. There's also a 4K studio master drive, 3D colour management system and crucially, the latest version of HDMI ports that supports 4K 60fps input. However with all that tech packed in, it's unlikely to be in your price bracket. We don't know how much it will cost, but it's likely it'll be the type of TV that ends up on the tech floor of Harrods rather than your local high street tech store. We'll update this story once we get a few more details about the TV.